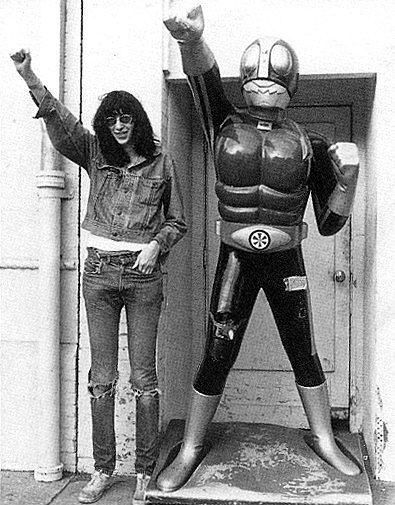 Joey Ramone‘s annual birthday party is happening at Irving Plaza on Wednesday, May 19th. The lineup has been announced and acts in attendance include Hank III, Ronnie Spector,Batusis (NY Dolls’ Sylvain Sylvain and Cheetah Chrome of Rocket From the Tombs/Dead Boys), Sic F*ucks, ex-Voidoid Ivan Julian and The Independents, Heap. Tickets are on sale (the show is a benefit for lymphoma research). Sylvain Sylvain also has a show coming up with the Dolls in Brooklyn in May. David Johansen plays a solo one in June.